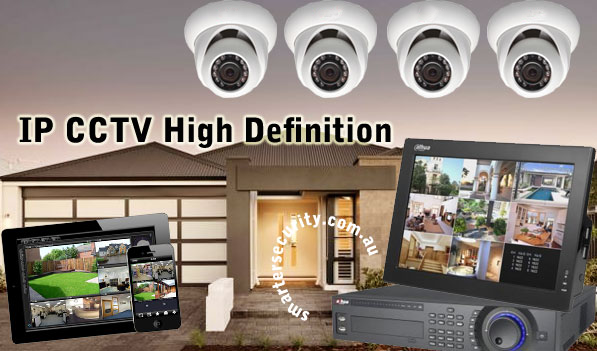 At Complete Alarms in Sydney, we believe in providing the best and most updated surveillance system for securing your home and business premises. Our specially configured CCTV surveillance systems fit this need perfectly. We have the experience and expert knowledge for creating the best and highly effective security packages found anywhere. Our surveillance systems act as total deterrents to the damaging activities of burglars and other unwanted intruders. It goes without saying that if you have something very dear and precious to your heart, next to family, you will want to protect it the best way you can. At Complete Alarms, we couldn’t agree more and hence why we have created a marvellous surveillance system that is totally unmatched. The system will combat the dreaded occurrence of robberies outside as well as in your homes. It will produce first class live images of unwanted intruders and it will keep your loved ones and pets safe at a very low cost. A continuing flexible outlook that allows for product adaptability and improvement is the hallmark ofan intuitive and progressive company and that’s exactly what Complete Alarms is all about. Its ingenious approach in creating surveillance packages that will address specific needs is totally flexible and is therefore conducive to addressing a myriad of issues at the same time. Complete Alarms is totally progressive due to its ability in adapting to the never ending changes that are happening in the tech world. Its whole system can now be incorporated into the latest Android apps. At Complete Alarms we are so modernized that at the press of a button, clear, detailed views of specific parts of your home will meet your eyes which you can view at your leisure. You can even call anyone you are connected with if something is wrong. If you are wondering how many of these CCTV cameras there are, we can truthfully and confidently tell you that for the moment, we have 3 different types of cameras. We provide wired cameras with special night vision capability. Perhaps the only disadvantage is that they have to be wired to work effectively. Our wireless operated cameras are currently the most popular as they provide comprehensive security to home and business premises. The latest of course is the IP (Internet Protocol) cameras that are connected to routers and can be remotely controlled from distant places. Ring us now on 02 8011 3882 and we will provide you with a CCTV system that will meet your needs.